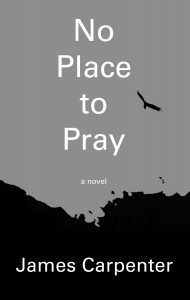 In James Carpenter’s No Place to Pray, two young men, one bi-racial and the other white, meet in an overnight lockup and begin their shared twenty-year downward spiral into alcoholism and homelessness. LeRoy and Harmon work together, drink together, brawl together, and as Harmon suffers from his final illness, they both bed Edna, a wealthy widow who, out of pity, curiosity, and loneliness, takes them into her vacation home by the river. Through episodes rendered from shifting, multiple points of view, a series of flashbacks, and LeRoy’s adventure stories—this very smart but uneducated man’s attempts at fantasy writing—we learn of the people and tragedies that shaped their lives and those whose lives unravel along with theirs at the seams of race, class, and religion, and where no one ever quite tells the truth. 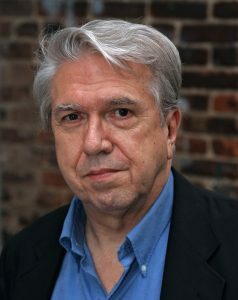 James Carpenter’s fiction has appeared in numerous publications including the Chicago Tribune and Fiction International. No Place to Pray is his first novel.